Mission: To provide our players a first class high school soccer program and experience. Belonging to a team doesn't give you rights and privileges, but commitments and responsibilities. The mental and moral qualities distinctive to an individual. The state or quality of being dedicated to a cause, activity, etc. The ability to face dangers and difficulties without fear. Mutual trust and friendship among people who spend a lot of time together. What is Gray Collegiate Academy? Gray Collegiate Academy is a 9-12 charter high school located in West Columbia, SC that will be an elite sports and an accelerated collegiate academy. When kids graduate with a high school diploma, they will also have 60 hours of transferable college credits. Most of their freshman and sophomore college general education classes will be taken their junior and senior year at GCA. This school will allow high school age students to not only get a jump start on their college academic career but also be put in a position to succeed within their athletic career as well. Gray Collegiate ... Serious about Soccer! 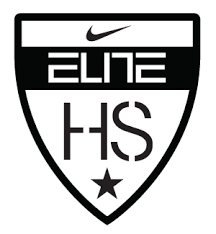 Gray Collegiate Academy is South Carolina's ONLY Nike Elite HS!! !